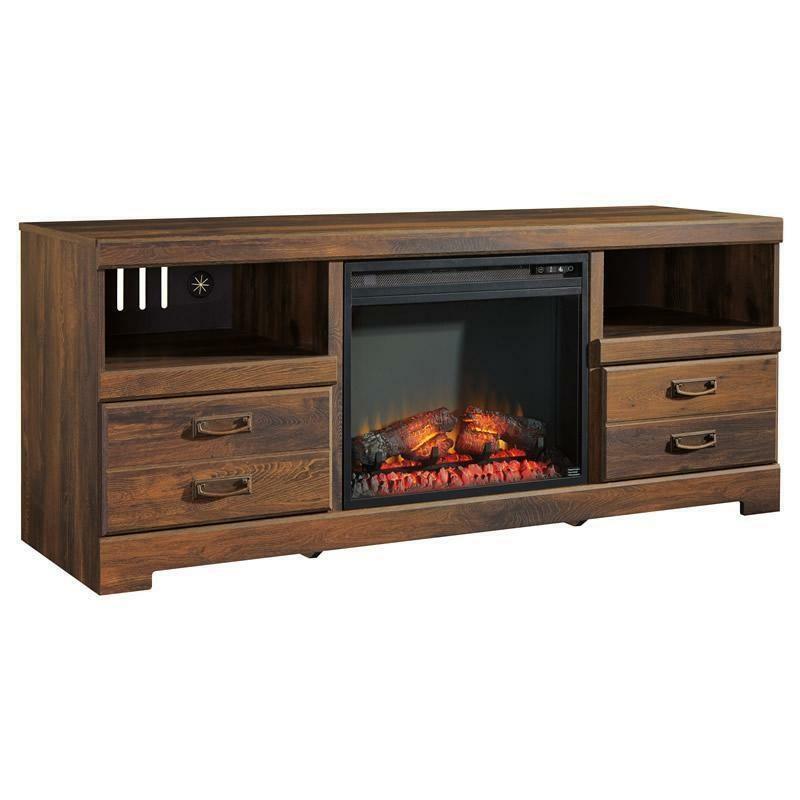 Bathed in a rich, dark and wonderfully “weathered” finish, the Signature Design Quinden TV stand with fireplace captures that rustic cottage feel, but with clean-lined refinement. 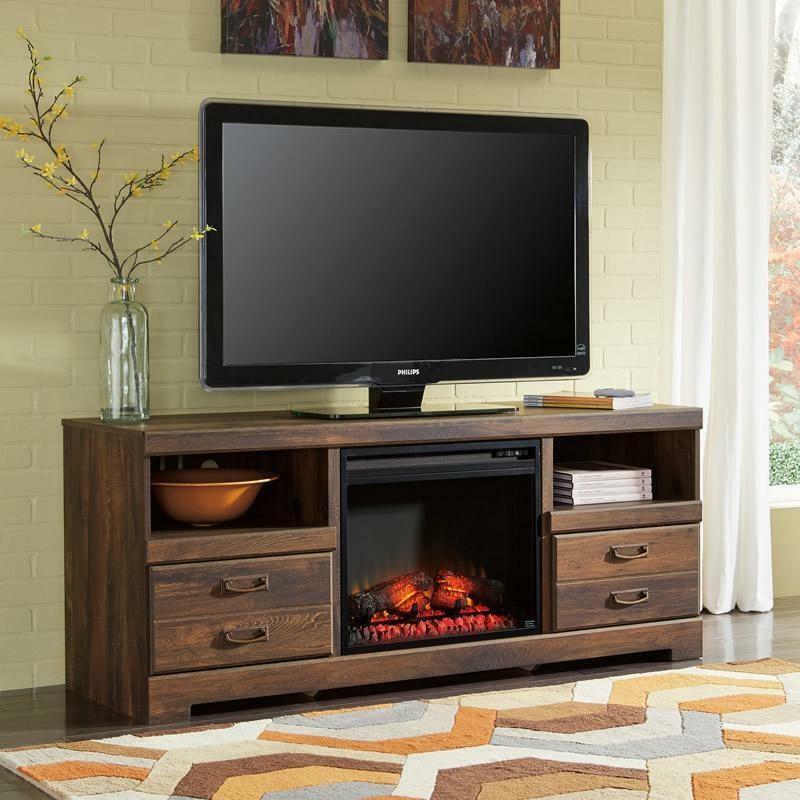 Two smooth-gliding drawers and open shelving accommodate electronics and decorative accents beautifully. Additional Shelf Information • Media opening (2) 18.00" x 19.61" x 7.50"
• Bottom opening 23.00" x 19.61" x 20.00"
Doors / Drawers Information Drawer interior (2) 16.50" x 15.00" x 5.00"